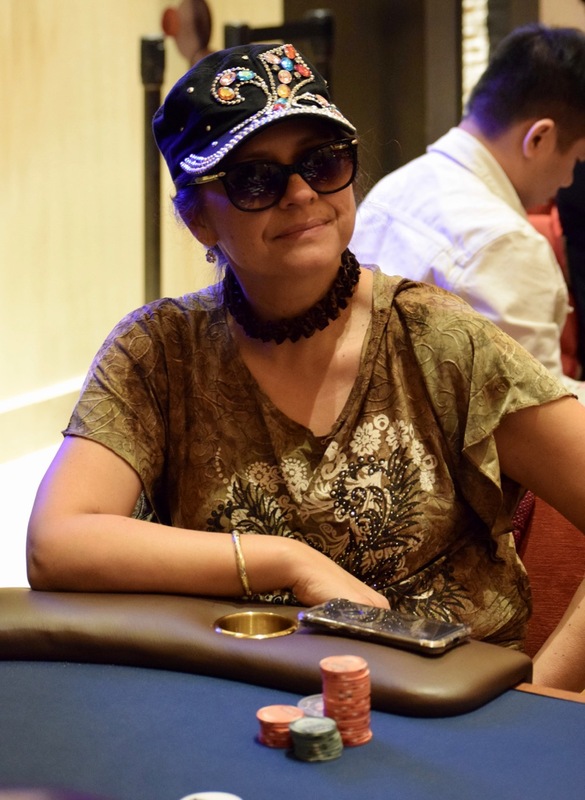 All in for her last few BB, Lorena Chiquillo (above) draws three callers. The 5-4-7 flop is checked by all, but Andreas Kniep moves all in on the 2 turn and the other players depart the scene. Kniep shows pocket Aces but has a sweat as Chiquillo has Ace_Jack of Hearts and the flop has two more hearts. That's a black deuce on the river and Chiquillo is out in 8th place, cashing for $9,728. A few hands earlier it was Peter Thao eliminated in 9th ($7,756) and Rudy Herrera finishing 10th for $6,256.